The popular complaint the trolls always make against the women’s NCAA Tournament is that it’s too predictable or that it’s just a forgone conclusion Uconn will win. And certainly I must admit there’s less drama and fewer upsets (in fact all four one seeds made the Final Four last year). But that’s not how I view it. Yes, the men’s tournament offers some zany upsets, but the women’s offers something else: an opportunity to watch truly excellent teams play really well and establish a dynasty. Isn’t the whole point of watching sports is to admire someone who can do an athletic feat far better than us regular Joes? I think excellence in sports should be celebrated, and the 2016 women’s tournament offers four excellent teams on a collision course in Indianapolis this April. Connecticut, South Carolina, Notre Dame and Baylor were all easy picks for #1 seeds, and it’s not hard to imagine all of them making the finals. I’ll preview each top team, but I’ll also pick the best matchup and potential sleeper in each bracket, in addition to picking a winner. While there may be an obvious favorite this year, there’s so much more going on in the women’s big dance than just who wins, and I’ll do my best to highlight the best stories. While there was much to-do when the men’s bracket was leaked, there was virtually no comment when the women’s committee chair “leaked” that Uconn was the #1 overall seed. The Huskies are undefeated and enter the tournament on a 69 game winning streak. 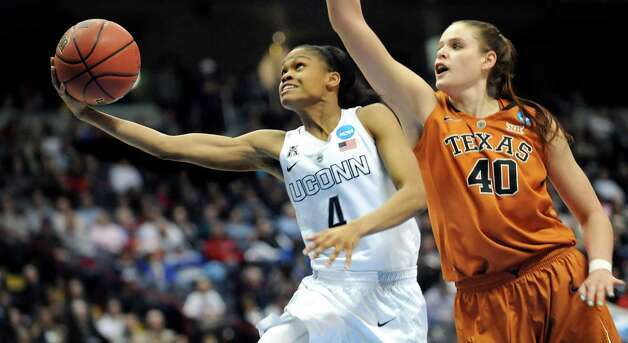 The Huskies are led by the big three of Breanna Stewart, Moriah Jefferson and Morgan Tuck. Stewart is three time Final Four MOP and soon to be three time national player of the year, and she is a terror in the paint on both ends of the floor. Jefferson is among the country’s leading point guards and also is adept in shutting down the opponent’s top scorer. Post menace Tuck has had a bit of a down year due to nagging knee injuries, but serves as an important Senior (technically redshirt Junior) leader to the Husky’s younger players. Uconn is set on cutting down the nets in Indy, and anything short would be a major disappointment. Last year the seven seed in the Uconn regional stormed all the way to the Elite Eight and then gave the Huskies a huge scare. Could the Cougars duplicate the feat this year? Senior Lexi Rydalch leads the Cougars with 24 points a game and 83 made threes and Junior Makenzi Pulsipher is right behind with 60 made threes. I mention threes because they’re the great equalizer in college basketball and are instrumental in any major upset. The Cougars have shown they can have success in the big dance, advancing to the Sweet 16 as a 12 seed in 2014 and then giving undefeated Uconn a tough fight for well over a half. The Cougars aren’t the biggest sleeper seeing as they only have a 2% chance of making the Sweet 16, but it still seems like a more plausible scenario then any of the teams seeded lower, most of which have vanishingly small chances. The South Florida Bulls may be peeved they’re in the in same region as conference rival Uconn, but if they stress too much over that they won’t make it past the 31-1 Rams. The Rams enter the tournament on a 28 game winning streak, feature four players averaging in double figures and have an average margin of victory of 17 points a game. The Bulls feature All-American caliber Senior Courtney Williams, a determined player in close games, and three point sharpshooter Kitija Laska, who was named conference rookie of the year. The Bulls have a 73% chance of winning, and Williams has to hope this one goes as it’s supposed to if she wants one more chance of knocking off Uconn. This one’s as close to a slam dunk as one can get in the women’s game. Uconn hasn’t lost a regional game since 2007 and doesn’t have to leave Connecticut for any them this year. #2 Texas and #3 UCLA aren’t the most imposing challengers, and while BYU and South Florida could be tough Elite Eight match-ups, they have a less than one percent and eight percent chance, respectively, to get there in the first place. UConn has a no less than 95% chance to win this regional. I can’t even imagine what the other 5% of outcomes would look like. A’Ja Wilson spurned Uconn in favor of the Gamecocks, but can she deliver a title for her up-and-coming team? Credit: AP/Richard Shiro. The Gamecocks were SEC cellar dwellers a few short years ago, but have become the #2 overall seed under coach Dawn Staley’s leadership. 2016 has been a fine year at 31-1, with Sophomore (and former #1 recruit) A’ja Wilson and Senior All-American Tiffany Mitchell leading the way. The only problem is that one loss left a sour taste in everyone’s mouth as it was to Uconn at home in a big matchup that proved to be mostly one sided. Last year USC lost to Notre Dame on a rather unlucky bounce, and this year they could get a semifinal rematch with the Irish opposite Uconn. At this point Gamecock nation is becoming habituated to success, and the one thing the program has left to accomplish is to win the national title. It seems hard to believe I’m labeling the Vols as a sleeper seeing as I pegged them as one of the top teams to watch in my preseason preview. This season has been disastrous by Vol standards as the team lost 13 games (many of them big head-scratchers) and were at one point in danger of not making the tourney at all. Yet the Vols clearly have a lot of talent seeing as they only lost to South Carolina by six and beat Oregon State, one of the best two seeds. The Vols showed signs of improvement at the end of the season, winning three of their last four games with all of those wins by double digits. Tennessee has an 18% chance to advance to the Sweet 16, by far the best of any seven seed. In all the other five-twelve match-ups the five is a solid favorite, but this one is pegged as a virtual 50-50 toss up. Albany stands at 27-4 with an average margin of victory of 19 points a game, but the Danes don’t have any top 25 wins. The Gators finished 22-7 and 10-5 in the SEC and are a well balanced team with no one averaging more than 11 points a game. #4 Syracuse has a 73% chance of beating the winner of this one, but the Orange’s coaching staff will have to scout both teams equally. The Gamecocks aren’t a sure thing with a 64% chance of winning this regional, and the team has had many close regional calls each of the last two years. But I can’t think of any challenger I’d like to pick over USC. #3 Ohio State is playing terrible going into the tourney and I wouldn’t trust them to get to the Elite Eight to start with. Arizona State is a pretty good #2, but USC has a perfect track record of closing out close games this year, and I trust they can do one more time against a less tournament-tested foe. The Irish have reached the Final Four five years in a row, but they’re still eager to get back as they haven’t won the title since 2001. The Irish, like the Gamecocks, have just one loss to Uconn, but the Irish have the excuses that Sophomore star Brianna Turner didn’t play in that one, it was in Connecticut and it was still Uconn’s closest game of the season. Seems odd to say for a 31-1 team but Notre Dame’s best years may be ahead of it with Turner having two years left and talented rookies Marina Mabery and Arike Ogunbowale coming off the bench this year. Many experts think the Irish match up well against Uconn, if the two meet in the Final Four for the sixth year in a row. Kentucky ordinarily wouldn’t be the most imposing three seed, but lucked out when placed in the Lexington Regional, which means all four regional games for the Wildcats would be in their own backyard. It’s a much sunnier outlook for the Cats than three of the last four years, when they were the two seed in the Uconn regional. The team has only a 27% chance of playing all four of those games, but having a team host a regional would be good for the game as a whole and would look good on TV. It is too bad for Notre Dame though, who were extremely close to being the #2 overall seed according to the committee chairwoman but instead could face a hostile environment against an underdog. This is a compelling game not so much for the game itself (Stanford is a strong 95% favorite to win), but because of the storyline behind the game. Cardinal coach Tara VanDerveer, an all-time great, won her first title in 1991 behind player of the year Jennifer Azzi, who’s now the Dons’ coach. The Dons are probably just happy to be here for the first time since 1997 while Stanford has been to six Final Fours in the last eight years, but at the very least Azzi gets to see how far her program has to go before they become a consistent NCAA tournament contender. I think it’s only right I pick at least one upset, and I think the Lexington regional is the best place for it. It’s not a knock on Notre Dame, who’s certainly an excellent team, but it is a reflection on just how tough this region is. Stanford could at least wear the Irish down in the Sweet 16, and I think the Terrapins have what it takes to knock off the Irish (presuming they can get past Kentucky first). Maryland has their own Final Four streak to boast of and are led by Junior star Shatori Walker-Kimbrough, who averages almost 20 points a game. Notre Dame has only a 53% chance to win this regional, significantly lower than the other three ones. Maryland proved they aren’t scared of big-name schools seeing as they played Uconn basically even for 39 minutes despite this being a supposedly down year for the Terps. A two beating a one may not seem like a big upset, but when that one is five time defending regional champion, I think it qualifies. Baylor was the premier team in the league in the Brittney Griner era, but have suffered through a “down” cycle the last two years, earning only a two seed and losing in the Elite Eight to Notre Dame. This year the Bears are right back up, going 33-1 with just one odd loss to Oklahoma State. Nina Davis and Alexis Jones both average around 15 points a game, but point guard Niya Johnson is the real star with a staggering 286 assists versus only 86 turnovers. Uconn and Tennessee have a big lead for most and second most titles, but the Bears could at least claim third place alone by winning the crown this year. Seeing a three seed in the Elite Eight isn’t a surprise, but the Cardinals probably are playing more like a good two seeing as four of their seven losses came in the season’s first five games. Furthermore, Baylor probably wasn’t too happy to see the Cards in this region seeing as the last time the Bears were a #1 seed the #5 Cards stunned them in what’s commonly billed as the biggest upset in tournament history. Louisville has only a 7% chance of winning this region but you’ll have to forgive Baylor fans for being nervous about them all the same. None of the underdogs in this region have a very good chance of winning in the first round but the Dukes at least have a passably good one in four chance. The Dukes enter the tourney on a 20 game winning streak and are led by Senior Jazmon Gwathmery, who averages over 20 points a game. Depaul had eyes on a top four hosting seed all season long, but too many tough luck losses to premier teams and an upset loss in the Big East Tournament dashed those hopes. The Blue Demons are balanced and win by an average of 16 points a game, but with the six seed have only a one in four chance of making the Sweet 16, an accomplishment the program takes pride in. To have a chance against Louisville, first they have to cool off the streaking Dukes. I think Louisville and Oregon State are perfectly good three and two seeds, but I’m sticking with the Bears because they, like the 2014 Florida men’s team, have been building towards this moment for years. The last few years the team has tried to establish an identity with the losses of first Griner and then Odyssey Sims, but were still able to make deep postseason runs. I think this team is ready to make a name for itself and escape the shadow of the legends of the 40-0 2012 team. A 69% chance to win the regional isn’t a sure thing, but I think the Beavers and Cards have a little ways to go before they can knock off a women’s basketball blue-blood.